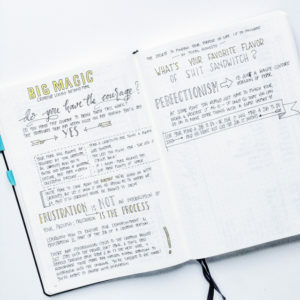 Then when you go back and flip through your bullet journal you’ll be able to follow along your development and journey through life. 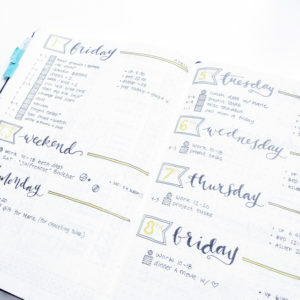 You might notice that March of 2016 was the time when you started to think more about your finances because that month you decided to add an expense tracker and a financial goal tracker. 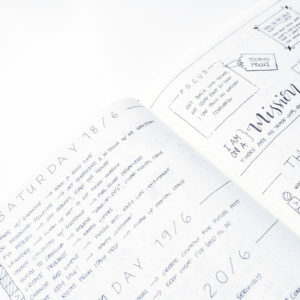 Also, if you decide to create a Memories page you’ll see at a glance what happened in your life month to month. Things you might forget if you don’t write (or doodle) it somewhere. 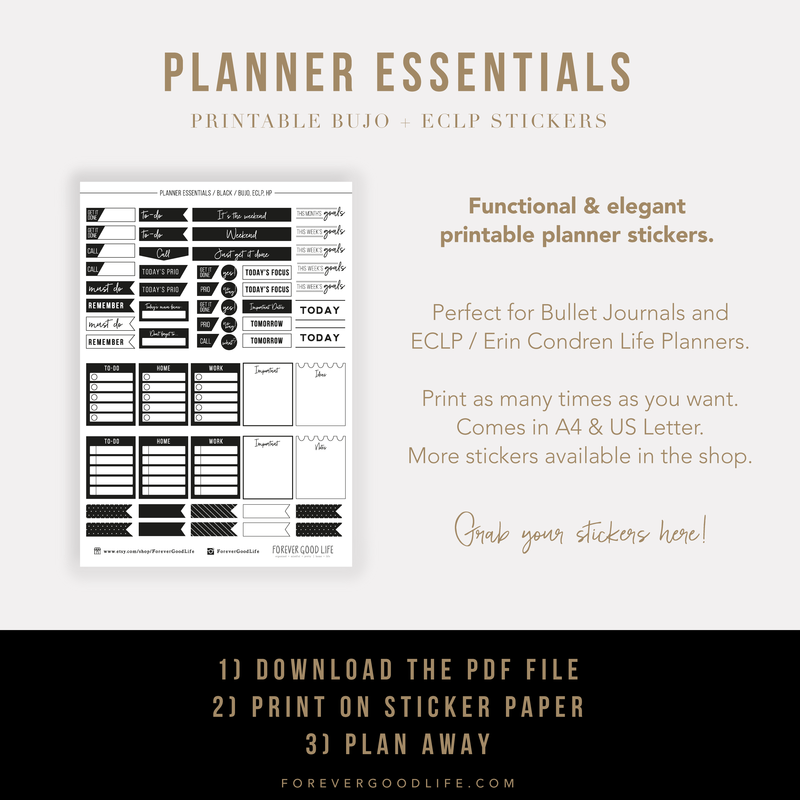 This seems to be a huge reason why many love their bullet journal – the possibility to switch things up. Either by adding collections as your life shifts, or removing collections as you find they no longer help you. Or to simply change the layout or design of our collections as you find a better way to do things. 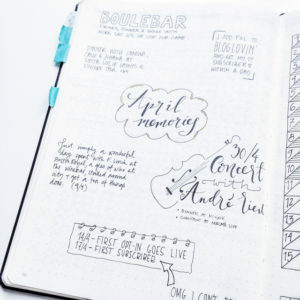 If you have a creative part of you that doesn’t get that much leeway, or you don’t feel creative enough to paint on a canvas (like me), a bullet journal can be a great creative outlet. 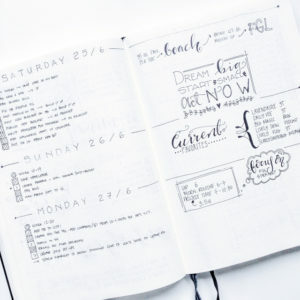 There are so many ways to be creative in your bullet journal, for example you can create different headers on each page, trying out different handwriting styles, banners, frames, colors and pens. 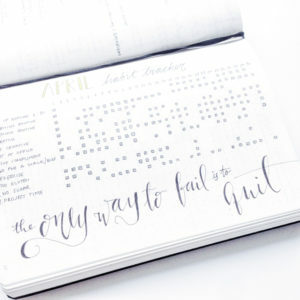 You can write (and embellish) quotes on empty spaces or full pages. 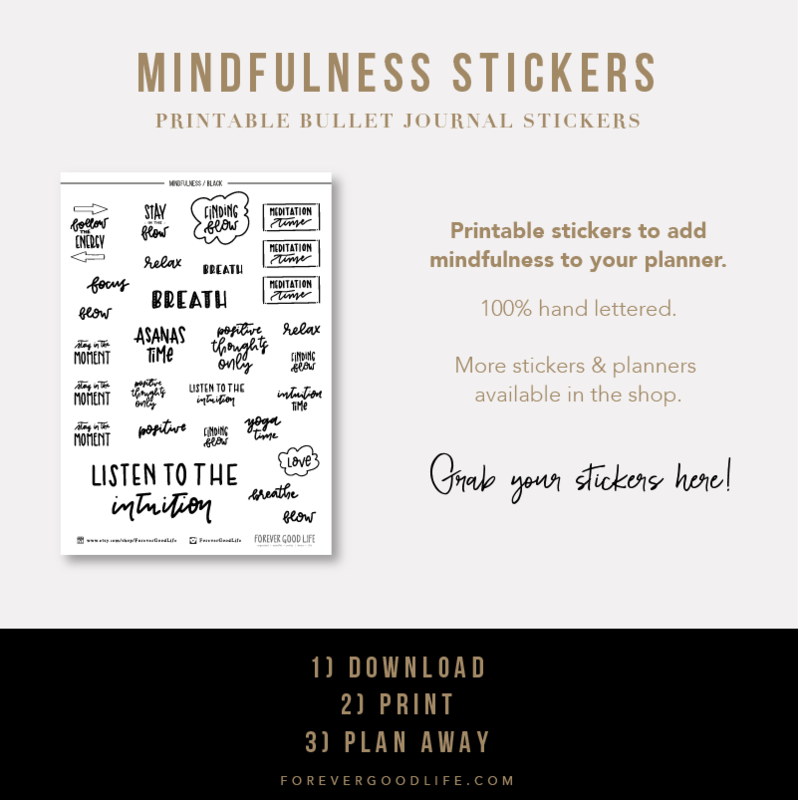 Or wherever you feel you might want to be reminded or inspired. 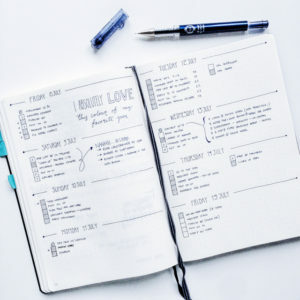 You can make visual references to things you want to put a focus on, things you want to remember or whatever’s on your mind. 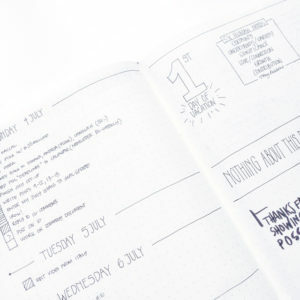 Having a bullet journal doesn’t mean you have to use it for every aspect of your life. Maybe it’s not a great fit for your work, but you find it works perfect for your life in general. It doesn’t have to be all or nothing. Use it for those parts of your life where it makes sense and where you feel it makes a positive impact. 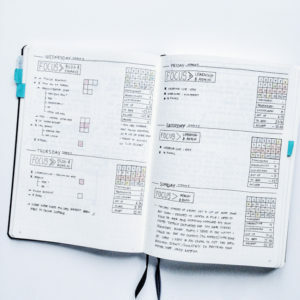 OK, so I guess that for this one you don’t really need to have a bullet journal yourself, but the Bullet Journal community is something else! Everyone is so supportive and encouraging. 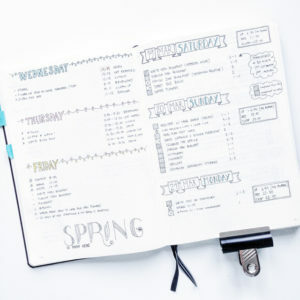 And seeing what everyone shares inspires me to try out different ways to organize and manage my life and everything in it. 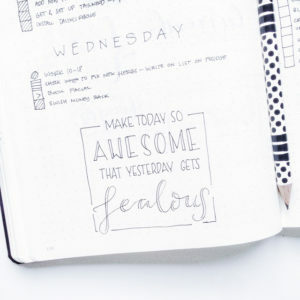 I get happy flipping through Instagram and seeing everyone’s pretty dailies, expense trackers and everything else that’s being shared. 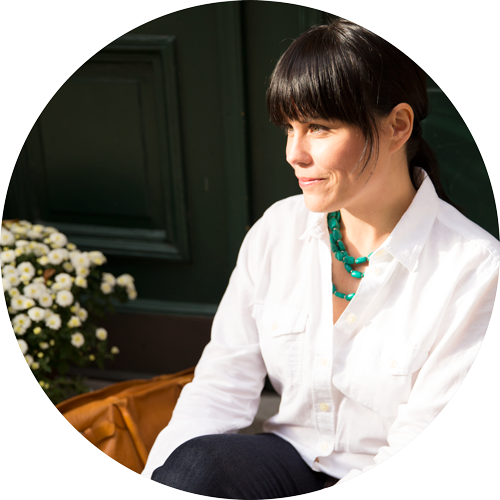 If you want to get some creative inspiration you should check out this page where I’ve collected all my blog posts that has to do with creativeness. 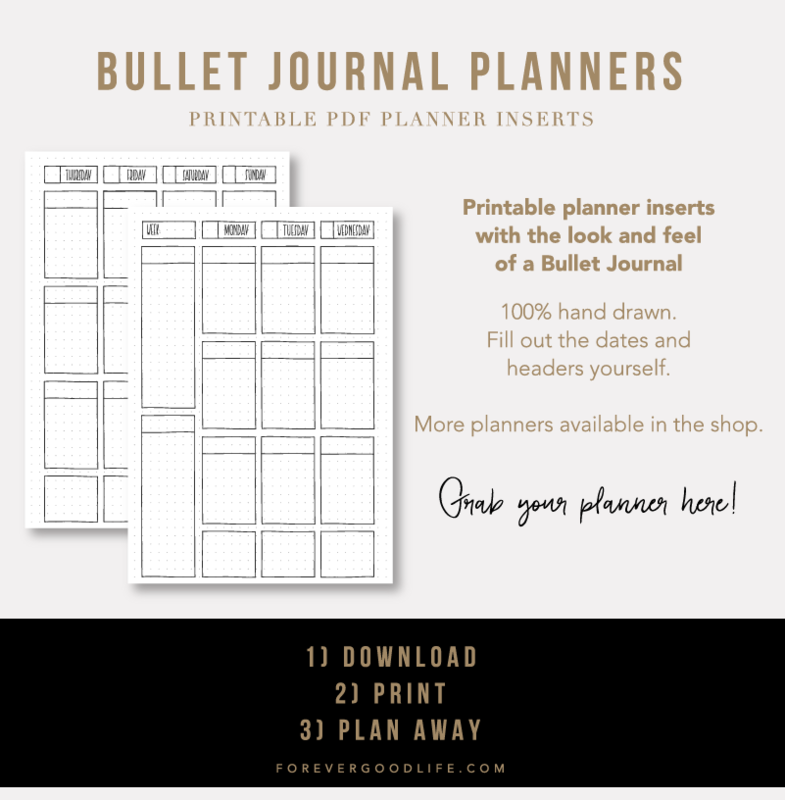 Do you have a bullet journal? What is it that you like most about it? Is it any of the points I made in this blog post or do you have a reason I didn’t mention? I’d love to know so don’t be shy :) Write me a comment below or let’s chat over at Instagram.